Home / Treasury / Articles / What Is Content Engineering? Content engineering is the practice of organizing the shape, structure, and application of content. Content engineering is broken down into seven primary disciplines: model, metadata, markup, schema, taxonomy, topology, and graph. Why Is Content Engineering Important? Creating and delivering engaging content experiences to customers across multiple channels challenges even the largest organizations. Layer in personalization, interaction, and hundreds of device types, and it’s no wonder marketing technologists have trouble keeping up! Content engineering bridges the gaps between strategy and development. Working with content strategy, content engineering transforms static content into a form that’s atomic, intelligent, structured, and quantum. Sophisticated content that is designed for reuse – omnipurpose content – requires thoughtful architecture and planning. It takes engineering and teamwork. Think of the content strategist as the CEO of content and the content engineer the CTO of content. They need each other to deliver value. The content strategist plans for the creation, publication, and governance of useful, usable content. Strategy targets the ‘who, what, when, where, and why’ of content experiences and assets. ​The content engineer organizes the shape, structure, and application of content assets. Engineering targets the ‘how’ of content assets, platforms, and publication. Together, they work to specify how audiences should receive content, how devices should display content, and how content can be omnipurpose. The strategy and the engineering roles work together, jointly, with an information architect or user experience designer. Shared deliverables include a detailed content model, taxonomy, CMS implementation and management specifications, personalization plan, and content reuse worksheet. Model – Content modeling creates a representation of types of content, their elements, attributes, and their interdependent relationships. Metadata – Metadata is content that provides useful, but generally not visible information about other content. Metadata helps applications, authors, and robots use and relate the content in smart ways. Markup – Broadly speaking, markup is everything wrapping content that’s not the content itself. Markup describes and presents content and can include XML and content transformations. Schema – Schema is a form of metadata that provides meaning and relationships to content. Schema often involves published standard vocabularies, such as schema.org, for describing concepts with standardized terms. Robots use schema to understand and relate ideas. Taxonomy – A map of related concepts that are applied to content, often as tags. Taxonomy shows content relationships by enabling dynamic collections of content items. It enables and supports features like related content reuse, search, navigation, and personalization. Topology – Topology is the art of developing organizational structures and containers to create coherence across CMS and publishing systems. The focus is on often-overlooked definitions for files, folders, asset-tracking IDs, and other containers that envelope content within systems of record. Graph – Graph architecture and design competencies help to connect various parts of an enterprise content ecosystem and customer data platform. Graphs form node-based relationships between customer states and the modular content needed to deliver fluid, personalized experiences. Customer experience management leaders outperform their market peers. A content engineering practice is not optional for organizations intending to orchestrate digital customer experiences. Content engineering fuels customer experience management. Content must flow to shape itself in discrete, structured formats for adaptive use across desktop, tablet, mobile experiences, and print products. Content must transform for implicit and explicit content personalization. Omnipurpose content supported across channels, contexts, and platforms requires thoughtful architecture and planning. 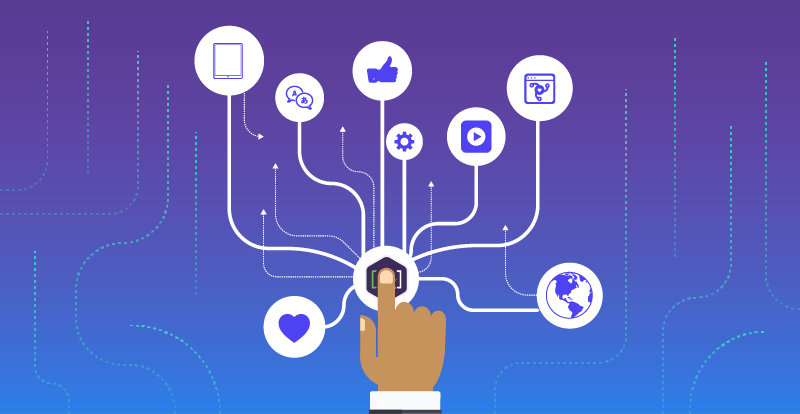 Customer journeys take place on owned properties, but also in search, social, native mobile applications, and syndicated views off of the publisher’s infrastructure. The content must be engineered to facilitate that reach. Content assets become more valuable the more they are discovered by humans, and used as part of human process journeys. Content engineering is the practice most accountable for an organization’s ability to design omnipurpose content that can be elegantly reused in multiple digital properties, applications, and workflows at low cost. Robots need structured content in order to better provide answers and value to humans. Google, Siri, Cortana, Alexa, Watson, and others function on the basis of understanding relationships between semantic concepts. In order for organizations to develop presence and authority, content engineering must be employed to speak to the robots. As intelligent agents become a bigger part of the way organizations understand themselves, their vendors, customers, and the world around them, structured content becomes a pathway to relevance in a cognitive era. Organizations are rich with digital assets. We have the systems and the content. The challenge now is utilizing those assets in intelligent ways. Content and data assets need to be able to move seamlessly across organizational silos, web services, search tools, CRM, CRP, and CEM platforms. Content must be like electricity, moving and transforming in order to power organizations. But for many organizations, content is more like a rock: chiseled and placed as a brick in some wall, never to be moved. Content engineering gives organizations a super power. Engineered content assets can be used in many places at once, related, discovered, and used to deliver value at the fastest possible throughput. But content engineering is only one pillar of a content services organization. The practice of content engineering must be aligned with content strategy and content operations to manage the standards and the patterns that create intelligence. Together, true intelligence transformation is realized. Download [A]'s published eBook, Content Engineering for a Multi-Channel World. View [A]'s webinar, "Introduction to Content Engineering". ​​Read [A]'s article, "What Does a Content Engineer Do?". Learn how content engineering can help uncover the gold hidden in your content assets with [A]’s guide to content marketing ROI and valuation.